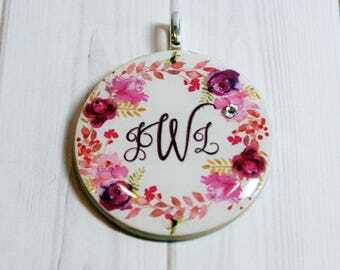 Pendant is customized with a background initial and name that you advise me to use. I can also change the background color to whatever you'd like. Just message me what you'd like and I'll send you a proof to preview before creating the actual pendant/charm. 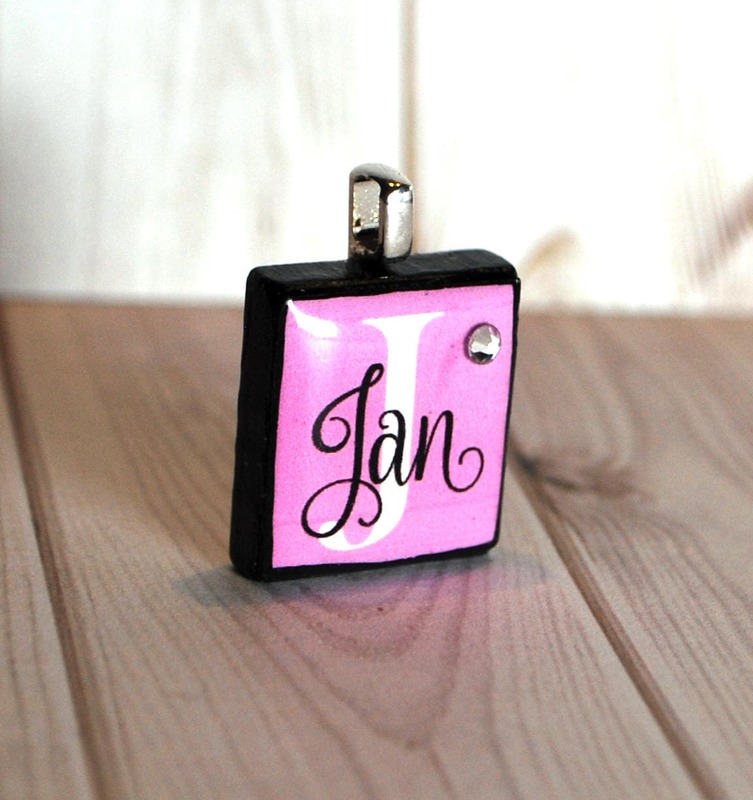 Pendant is created using a repurposed Scrabble tile game piece. 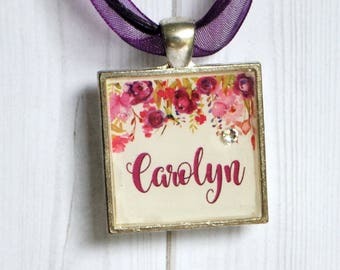 A jewelry grade resin is carefully poured over the image to create the glass-like finish and a Swarovski crystal is embedded in the resin before drying so it will NOT fall out! 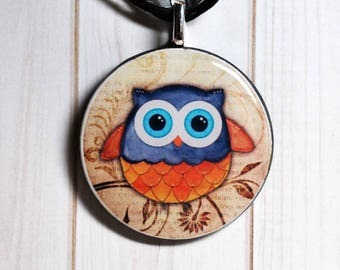 Necklace choice will be chosen at checkout. Choices are 16"- 18" adjustable black ribbon necklace, 16" or 18" black stretch cord, or a 22" silver ball chain. 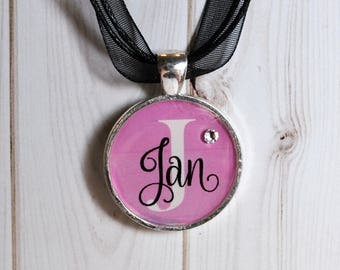 Be sure to message me with the name you would like on the pendant. Also, let me know what letter Scrabble tile you'd like used. If you do not tell me which Scrabble tile letter to use, I will use the same letter as the front image.